ABOUT US Customer Spotlight – Stadium Brew Co. 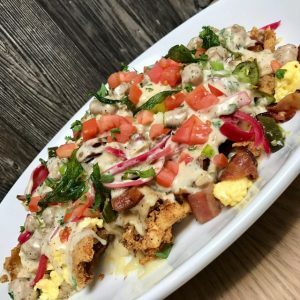 Customer Spotlight – Stadium Brew Co.
Stadium Brew Company is THE definition of innovative, chef-inspired comfort food. From flatbread adorned with duck confit and crispy chicken skin breakfast nachos to 60 craft beers on tap (including the local favorite Blueberry Lager), there’s something for everyone – and for every day of the week. Combine the exceptional menu with the casual yet refined ambience and you have a concept that’s pure genius! 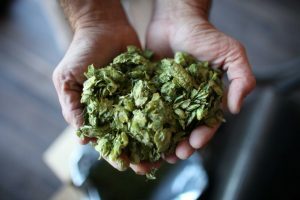 It comes as no surprise that the founders of this hugely successful concept were true industry pioneers and among the first to brew beer inside a restaurant in the early to mid-1990’s. In 2000, the concept was further refined with the opening of flagship restaurant Stadium Brew Co. in Aliso Viejo. Stadium Brew offers customers a unique combination of a craft brewery, sports bar and fine dining experience all under one roof. 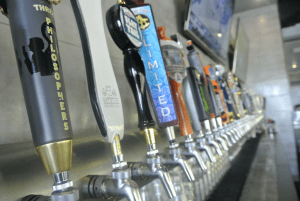 Today, because this concept has been so successful there are now three restaurants in the group to choose from â€“ Stadium Brew, Redondo Brew and Fullerton Brew Companies. All three restaurants share similar menus but each is tailored just slightly to the local customer it serves. Redondo is a little more seafood inspired, Fullerton lends itself to the palate of the local “hipster” crowd and Stadium is simply the perfect combination of all three. So, no matter where you might be in Southern California you can get your Blueberry Lager and comfort food fix! Wh at truly makes this concept so successful is not just the idea of elevated comfort food but more importantly its execution. 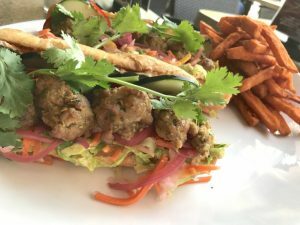 The menu at Stadium Brew is both creative as well as, value oriented to ensure customers keep coming back week after week and year after year. Whether it’s artisan flatbreads (think carne asada and roasted veggie), ahi with a homemade roasted corn relish or pot roast tacos the ingredients must be of the highest quality, while also being the most cost effective. It’s a happy medium not easily achieved but it’s exactly what keeps customers happy and Stadium Brew a longtime industry leader. 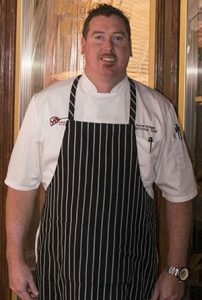 Speaking of leaders, Executive Chef Aaron Knigge is the creative talent for all three kitchens leading the charge. Considering the size and scope of the restaurants, this is certainly no small undertaking. Perhaps it helps that Chef Aaron was raised in a family with a real passion for food and was cooking with his dad and scoring steaks at a very young age. Chef Aaron, has a come a long way since those early days cooking at home having graduated from Le Cordon Bleu Culinary School in Pasadena and subsequently working in some top restaurants to include Parkway Grille, Hollywood & Vine, La Cu belle and Crow Bar to name a few. Each experience uniquely prepared him for the ultimate cha llenge of a multi-unit project like Stadium Brew Co. Funny, how when we follow our instincts and stay true to our passions we become the best version of our selves. Successfully, running and overseeing three kitchens is not for every Chef. It takes a certain skill set, experience and vision. Chef Aaron, says they do it by being “consistent (from the service to the food) and by not staying stagnant – locals come 3-4 days per week so the menu has to stay fresh and dynamic.” Going forward, Chef Aarons direction with the menu is to “continue to simplify with focus on quality and creativity but also staying diverse enough to satisfy both the bar and restaurant customer.” As he explains it, he’s not going to “reinvent the wheel but just put some new tires on it.” Chef also spends a good amount of his time teaching his staff the importance of having a sense of pride and ownership in everything they do. Additionally, he relies a great deal on the strong bond he has with his kitchen managers and fosters that by making sure there’s always an open line of communication, spending 1-2 days per week at each restaurant. 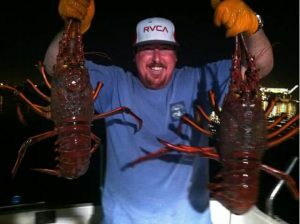 It’s fair to say, Chef Aaron does far more than just direct the team, he’s an actively working part of it! It’s obvious that Stadium Brew is about far more than just burgers and brews – it’s truly cutting edge and ahead of what everyone else is doing. With Chef Aaron in the kitchen there’s no doubt it will continue to be an industry leader. Chef explains that “I got into this to get my hands dirty and follow my passion. I want to do so much more than just manage a kitchen and food costs.” I think it’s fair to say that Chef Aaron has done and will continue to do exactly that. To contact Stadium Brew Co. or see what they’re doing next go to www.stadiumbrewing.com. All of us at Rogers Poultry would like to thank Chef Aaron and Stadium Brew Co. for allowing us to be a part of their journey and for the wonderful insights they provided, which allowed us to write such an interesting and informative article. We hope it provides some value to our readers and invite all of our customers to participate in our Customer Spotlight. If interested, simply contact your Rogers Sales Associate or call us toll free at 800.889.8280. *Combine all ingredients (except onions), bring to a boil and then pour over onions. Cover with plastic and let steam 1-2hrs.